As many readers know by now, NOAA has announced that effective April 13, 2014, the federal government will cease to offer charts for sale in paper form. We can still get PDFs to print ourselves or order charts from print-on-demand companies, but no more lithographic charts. 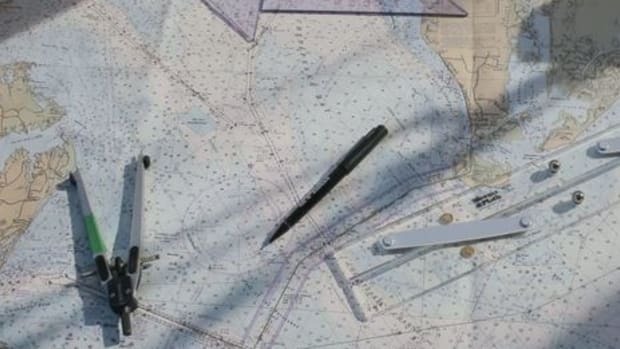 This spurred a ferocious debate in multiple online forums when some boaters argued that paper charts were no longer relevant in an age of electronic navigation. 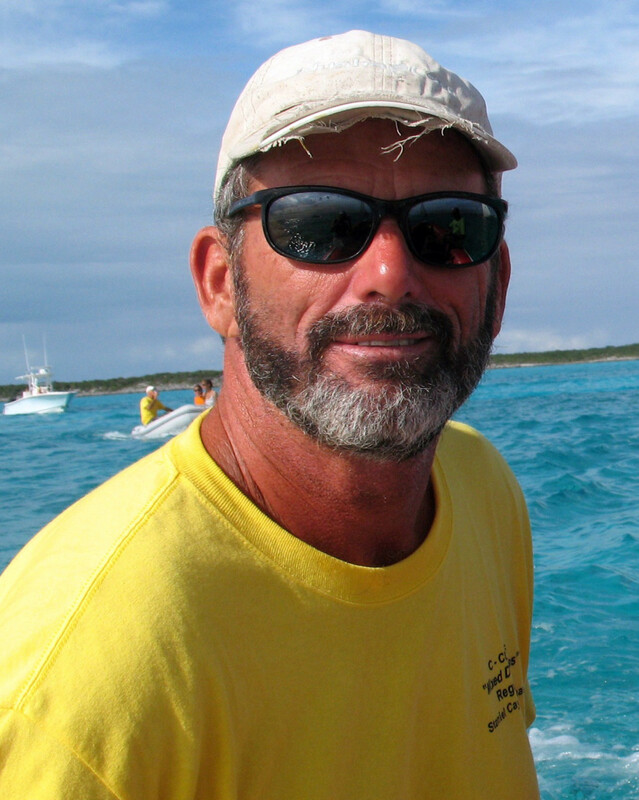 The most prominent advocate was Jeff Siegel of the Active Captain online cruising guide. He went so far as to argue that carrying paper charts could actually be dangerous because paper charts cannot be updated with the latest Notice to Mariners without a great deal of effort. Let’s face it, fellow cruisers. This is a debate we were going to have sooner or later. So we decided to ask some people in PassageMaker’s circle of experienced mariners this question: Should we ditch our paper charts? Click the name of each expert below to read their argument for or against keeping all those lithographic charts around or simply scroll down to see the debate in its entirety. Want to chime in? Send your thoughts about charts and navigation to editor@passagemaker.com or stop by the comments section at the bottom. Should we keep carrying paper charts (or would that be "dangerous")? Experience: Coast Guard 100-ton auxiliary sail oceans license grown and maintained from about 1973 to 2004; tens of thousands of miles coastal and offshore experience, usually with command responsibility, in sail, power, commercial, and fishing vessels; extensive experience teaching navigation and seamanship, often underway in vessels ranging from 30 to 117 feet. In the 70&apos;s and 80&apos;s I regularly navigated the foggy coast of Maine with no electronic tools whatsoever and I have helped to chart the Dominican Republic’s dangerous Silver Bank, using celestial navigation and an old paper fishfinder; now I cruise with a wildly abnormal variety of electronic charts and nav tools. I am senior electronics editor for PassageMaker magazine and editor and publisher of Panbo.com. Boat:Gizmo, a Duffy 37, homeported in Camden, Maine. Declaring that it&apos;s dangerous to carry paper charts for backup -- or dangerous not to carry them at all -- is ridiculous, I think. If something goes wrong it&apos;s the navigator who has failed, not his or her tools. Personally I find paper charts great for discussing places and plans, regardless of how up-to-date they are, and I just like having them around because they&apos;re such refined and beautiful examples of how far our forbearers got with graphic data sharing in a non-digital world. (Some anthropologists think it&apos;s mapping, not language, that truly separates humans from apes. In fact, I like the paper chart format so much that I often use their digital equivalents, known as raster charts, on the various multi-function displays and charting apps/programs I test. Vector charts are &apos;smarter&apos; and better in many ways, but then again a living, breathing cartographer can often highlight a specific danger better than the algorithms that assemble vector screens. I&apos;m pleased that there are many navigation systems that let us use vector and raster electronic charts side by side, and that Raymarine is about to join that list with a software update that can display both of NOAA&apos;s digital formats. 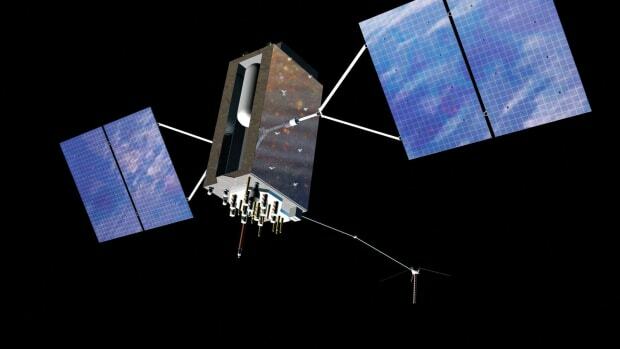 I don&apos;t worry very much about suddenly losing my electronics or suffering GPS system failure because I have numerous independent backups (some of which I put in the steel oven during thunderstorms) and because I know how to use the position cross checking and dead reckoning abilities of several nav systems. But let&apos;s not kid ourselves that we can fully retain traditional navigation skills in a world where we don&apos;t need them. Then again I think the effectiveness of the older technologies is often mythologized in our world of many screens. 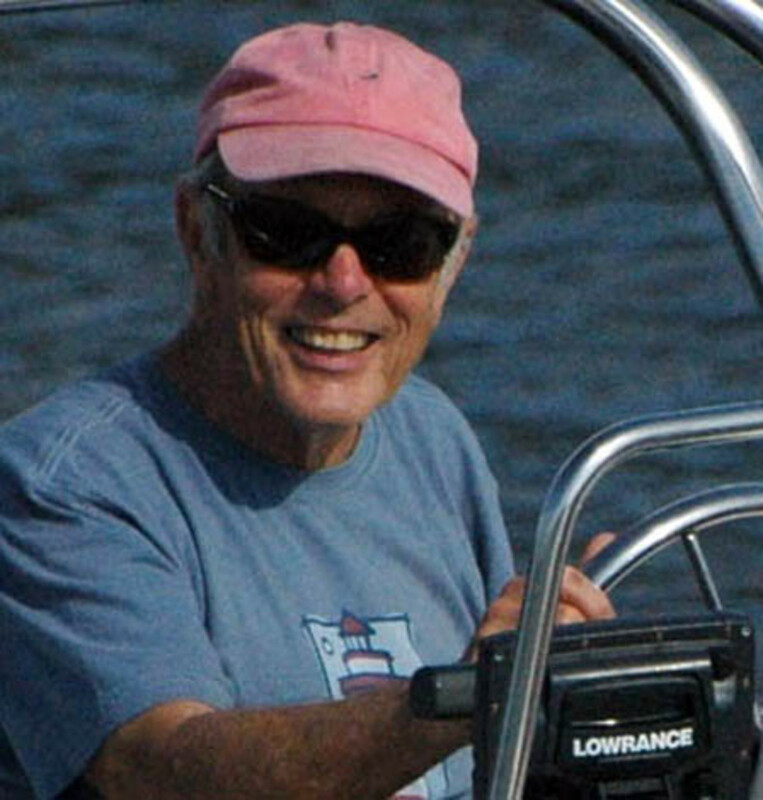 I hear people gas on about boaters who don&apos;t get their eyes out of the vessel while apparently forgetting how distracting it was to, say, take and lay down three bearings on fixed objects. Ultimately, safe navigation is all about experience, education, and the good judgment that hopefully ensues. A concept I used to teach is that the proper navigation mindset includes some paranoia, as in "what&apos;s wrong with this picture"? I stand by that concept but able navigators get to pick the tools they use. 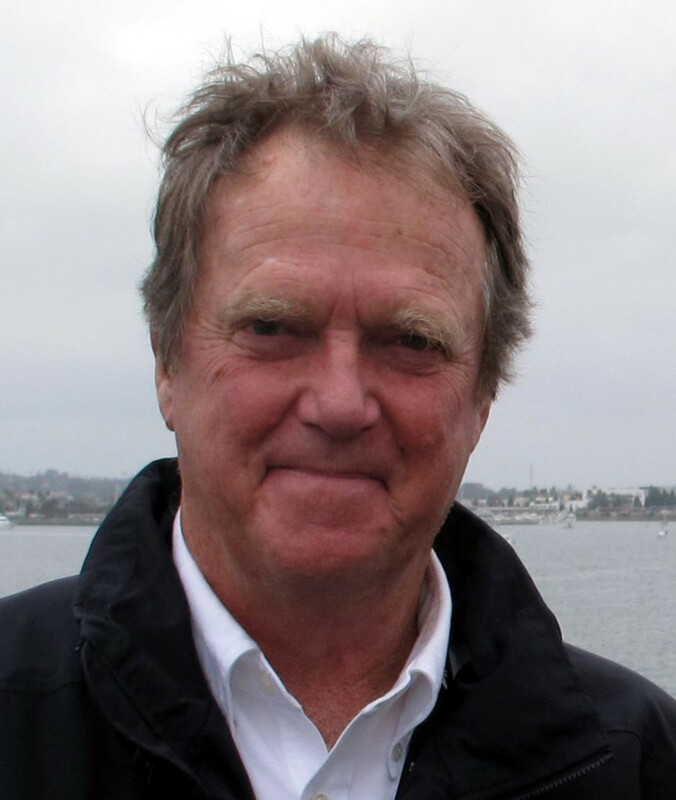 Experience: U. S. Navy captain, retired, with 40 years of private boating experience on both coasts. Boat: Catalina Sunshine, 64 Grand Alaskan, Huntington Beach, California. When I received your e-mail I had just completed a two-hour telephone conference while anchored in Brickhill River next to Cumberland Island Georgia. The call was to go over a complex 120-page document which had just been completed a couple of hours earlier. We had lawyers and others participating in the call from Dallas, Atlanta, Los Angles and Huntington Beach. I fingered through the document on my i-pad while talking on the speaker of my i-phone. After completing the call I pondered for a moment, looking at the Spanish moss hanging from large oak trees on Cumberland Island. How did was Thomas Carnegie able to control the vast steel empire he ran with his brother Andrew, from this remote Island in 1885? I am an old school guy who relied on a slide rule in college and still have a secretary that types most of my hand written documents. I have had my current boat for three years and don&apos;t have a paper chart aboard. I had my last boat for ten years. The only paper charts I had aboard were those I had on my then previous boat which I thought I might need some day. I was formally trained in navigation by the Navy in the late 1960&apos;s. I have taken my share of bearings, and plotted my share courses. But that was then. Today we live in an electronic age with immediate access to a tremendous amount of information that enhances our safety and since of well being. Image what Thomas Carnegie would have had to do to accomplish what I did anchored off his island 128 years later. His staff, at his headquarters in Pittsburgh, would have sent the document to Thomas by courier on a train to Brunswick Georgia, then by boat to Cumberland Island. After review Thomas would have sent this document in reverse to New York where his brother lived in 1885. From there back to Cumberland Island and then back to Pittsburgh for production of the final document. This would have taken three weeks to a month at best. Would a prudent businessperson list courier service by train and boat as a backup plan in 2013? Would a prudent engineering student procure, and learn how to operate, a slide rule as a back up to calculate complicated formulas in 2013? Notwithstanding my old school education and experience with paper charts I have navigated the full length of both Coasts, and parts of Mexico and the Bahamas, in the last 13 years never needing paper. I can&apos;t disagree with Jeff Siegel. A prudent captain should not rely on paper charts as backup navigation aids in 2013. We should all be praising NOAA for recognizing we are in the electronic age, and for not be wasting our taxpayers money printing paper charts that serve no purpose beyond creating unneeded ballast. 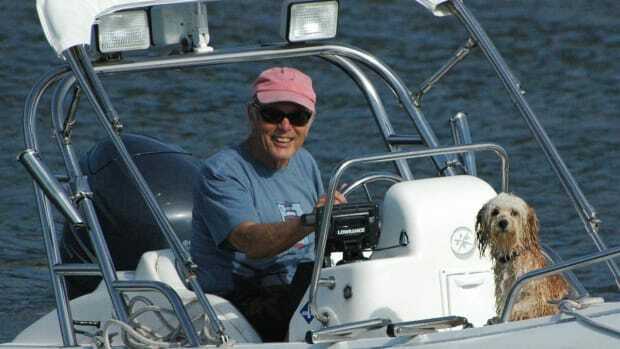 Experience: I have been at sea in various capacities since 1947, sailed dinghies and a 60-foot sloop growing up, senior year of High School did the ICW from Connecticut to Miami in a 16-foot outboard, delivered yachts along East Coast-Bermuda-Nova Scotia for 30 year. My longest delivery was a 50-foot motor yacht from San Francisco to Stamford, Connecticut. I served as a seaman apprentice on a 45,000ton oil tanker, quartermaster-striker on a U.S. Navy Diesel Submarine. I have been teaching coastal navigation, electronic navigation and marie safety seminars for 30 years. 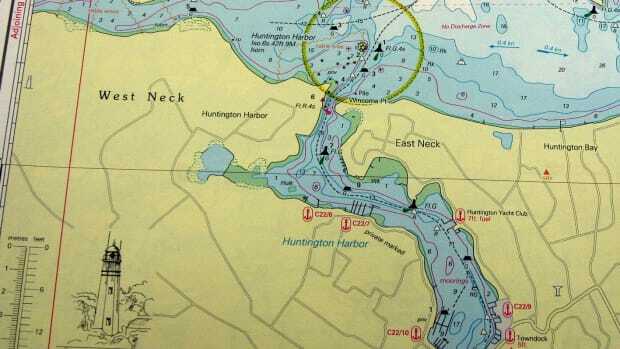 I am president and owner of Landfall Navigation of Stamford, Connecticut. Boat: 41-foot sloop 2nd Choice. I strongly believe that you require paper Chart Backup on any vessel under 100 feet without numerous redundant Electronic Navigation Systems - which includes long term electrical supply backup. I will not leave the dock without it. It I true that lithograph charts were sometime 5 years "out of date" because of a lack of new editions by NOAA. This has somewhat been corrected by the print-on-demand system with the major Coast Guard Notice to Mariners&apos; changes being incorporated into the POD system via the weekly updates. That being said, if you do not regularly buy a new chart, you still have an obsolete chart. Regarding the electronic products: How often do you buy a new chip? Here, the same rules apply - last year&apos;s chip is as obsolete as last year’s paper chart! While paper charts were susceptible to water damage, electronics act a bit funny after being submersed with water, at least the paper chart could be read with a flashlight when you experienced a loss of electrical power. What sort of electronic backups do you carry? I always recommend a complete chart kit or a couple of 1:80,000 scale charts for emergency reference. It is true that the electronic chart always has your position marked, which is a great thing and very important to navigational safety. However, in the old days, we used to regularly mark our position fix on the paper chart. Does anyone even know how to do this anymore? Do you log the electronic position hourly in your log book as a back up to the screen going black? Personally, I do find the chart plotter screens hard to use for long routes because in order to see both ends of the trip, I have to scroll out so I cannot read the chart. This is partly a need for further training on my part to make an effort to join the 21st Century. Never mind the mention of the prescription strength of my glasses. In summary, I like the instant location feature of the chart plotter, plus all that ancillary features - range & bearing, ETA, tides & current, and with AIS a picture of the important vessels around me. Though being a diligent mariner I also carry a paper chart kit for backup, planning and charting purposes. NOAA’s decision aside, your paper charts are still available for those who want them and it is far more important that you understand how to navigate properly no matter which chart you use to do it. Books & Charts, longtime cruiser with over 50 years and 100,000 NM of cruising in yachts under sail and power, Nordhavn fan for over a decade. , a Nordhavn 47, official homeport Newport, Rhode Island. It depends on where you&apos;re cruising, what kind of vessel you&apos;re cruising in, your own background and experience, and, most of all, what makes you comfortable. In deciding how to approach a situation like this aboard my own boat, I often look at how it&apos;s done by the professionals in the merchant marine world and the U.S. Navy. Both the commercial shipping industry and the U.S. Navy use electronic chart display and information systems, known as ECDIS. I think of ECDIS as electronic charting on steroids. These systems are in wide use and meet lofty standards for performance and redundancy, meaning that complete failure is highly unlikely. Commercial and Navy ships without ECDIS systems may use electronic charting systems as an aid to navigation but they must carry paper charts, either as their primary navigation system or as backup. we have the redundancy of three separate electronic charting systems, each with its own cartography, but all three are ECS systems and none meets ECDIS standards. With that in mind, I carry a big stack of backup paper charts and publications. Like my friend Jeff Siegel, I’ve never once had to break out the paper charts, but the belt-and-suspenders part of me likes knowing they’re there. 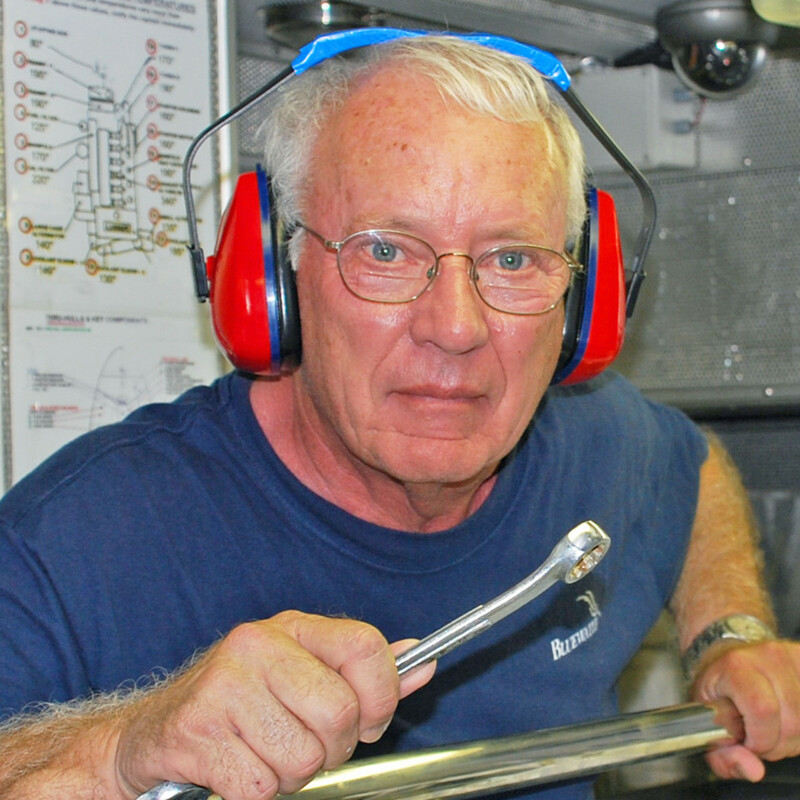 Experience: Thirty years of boating with 16 years as full-time liveaboard cruisers. We contribute seamanship articles to PassageMaker magazine. We built our own boat and our previous boat. Boat:Briney Bug, a 34-foot sail assisted trawler, homeported in Miami. I cannot speak for anyone else, but we use only paper charts and demand their continued printing. We’ve seen or heard of too many incidents wherein folks got into trouble relying on their charts, paper or electronic, new or old. In fact, we seem to hear of fewer problems from experienced folks who use old charts. Like us, they just do not trust them to begin with, a position that folks with so-called, up-to-date charts might want to adopt. 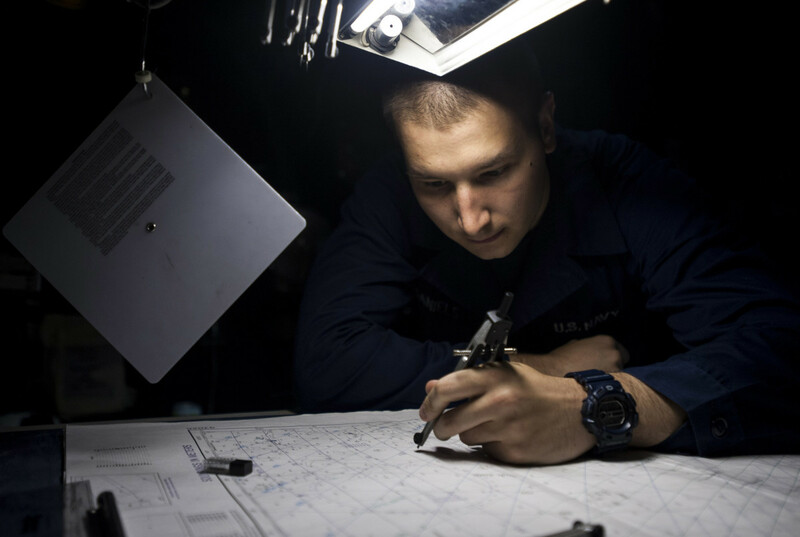 Experience: Trained in traditional plotting, celestial navigation and experienced in electronic navigation techniques. I am technical editor of PassageMaker magazine. While I embrace technology, as a marine industry professional I see enough electrical and nav system failures to warrant a backup. Would you cruise without spare parts, without a spare impeller or belt, without flares because you are confident that you will never have an emergency? At this stage, for most cruisers, paper charts are tantamount to seat belts, you hope you never need them but you still wear them. A full complement of charts probably isn’t a necessity, but enough to get by in the event of a nav system failure is simply what the prudent mariner will have on hand. One day we may deem them unnecessary, but that day hasn’t yet arrived. Just to check my opinion, however, I polled two very experienced cruisers, 50,000-nautical mile-plus folks, and one professional captain. Both still carry paper. The professional skipper said, “Yes, we carry paper charts. I think pre-planning routes and passages are so much easier than on electronic charts. Also, looking at large scale charts for entrances and such show the whole picture where sometimes certain objects can be hidden on electronic charts until you zoom way in. Sure, we have an over redundancy of E plotters. But then there is always the proverbial "lightning strike". Also extra GPS&apos;s are no good without paper. And old charts are great for gift wrapping. Experience: Tens of thousands of miles of offshore passages and gunkholing in the Caribbean, U.S. East Coast, Scandinavia, North Sea and Scotland. 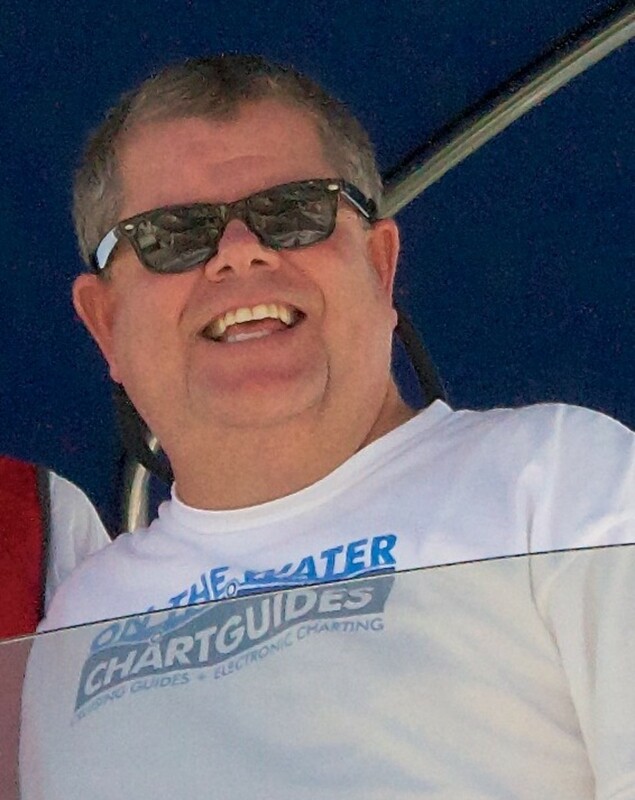 I am the author of cruising guides to the North West Caribbean and Cuba and the book How To Read A Nautical Chart. Boat: Nada, a Malo 46, no homeport, currently on the west coast of Scotland. I love electronic charts and use them all the time as my primary navigation tool. I agree with Jeff’s arguments that if you have electronic redundancy this is adequate for most coastal cruising, although it would not be my preferred approach. We have been in situations (several times) beating up narrow rock-strewn channels when the electronics crashed. There was not adequate time to boot up the back-up, or reboot the primary, electronics. Having a paper chart to hand was essential to safety. I still do much of my passage planning, including for coastal cruising, on paper charts. The screen resolution of chartplotters, smart phones, iPads, etc. is such that you have to over-zoom an electronic chart relative to paper in order for the electronic chart to be legible. When you combine that with the small size of most screens, you end up with little or no ‘peripheral’ vision. If you zoom out to the point where you have adequate peripheral vision, you have totally inadequate detail on the electronic chart. In rock-strewn areas with dozens of small islands such as the west coasts of Sweden or Scotland, the peripheral vision is really important for passage planning. I do not accept Jeff’s argument when it comes to offshore cruising. In a worst case you will be in a life raft soaked to the bone with all electronic gadgets that are not fully waterproof out of action; the paper passage chart in the waterproof ditch bag will be quite important. Incidentally, I think emerging technology and software combined with crowd-sourcing, of which Jeff and Active Captain are pioneers in the marine world, are the future of charting for cruising sailors, especially for those off-the-grid areas we like to frequent that are of little interest to commercial shipping and as such will not have up-to-date surveys from hydrographic offices. However, I will still want a paper passage chart tucked away somewhere as the ultimate back-up, even if it is many years old. Just like Jeff’s multiple back-ups, Three Mile Island, Chernobyl and Fukushima all had redundant layers of protection. After playing around with electricity on boats for 30 years, I am constitutionally incapable of putting all my trust in electronics! 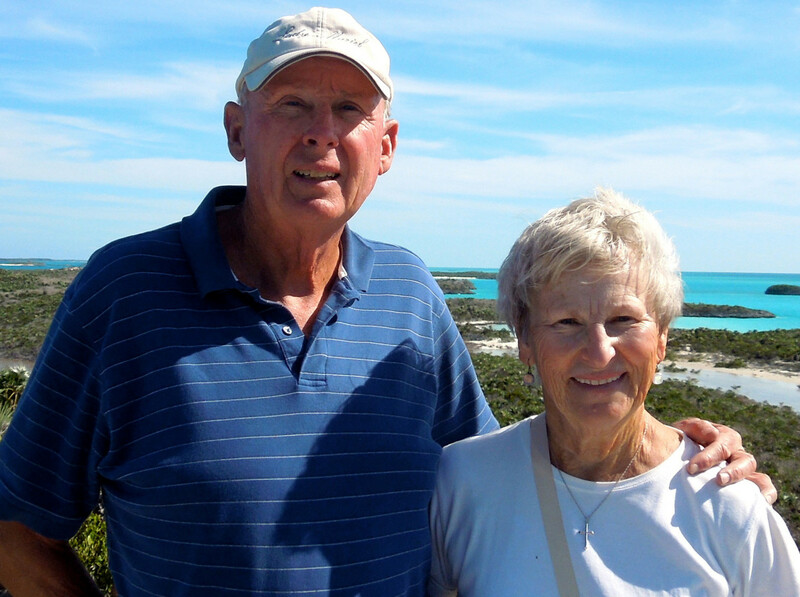 Experience: Cruising the Intracoastal Waterway from Ocean City, Maryland to Key West, Florida, since 1974. Spent 22 full winters in the Bahamas. Many years cruising and racing on the Chesapeake Bay. Both held U.S. Coast Guard Captain’s Licenses for many years. Operated more1,700 sailboat charter excursions in Ocean City. We own Lewis Offshore Ltd., publisher of the Explorer Chartbook series of navigational charts and cruising guide information for the Bahamas. Boat: 1978 Mainship 34 Saranade, homeported. Ocean City, Maryland. 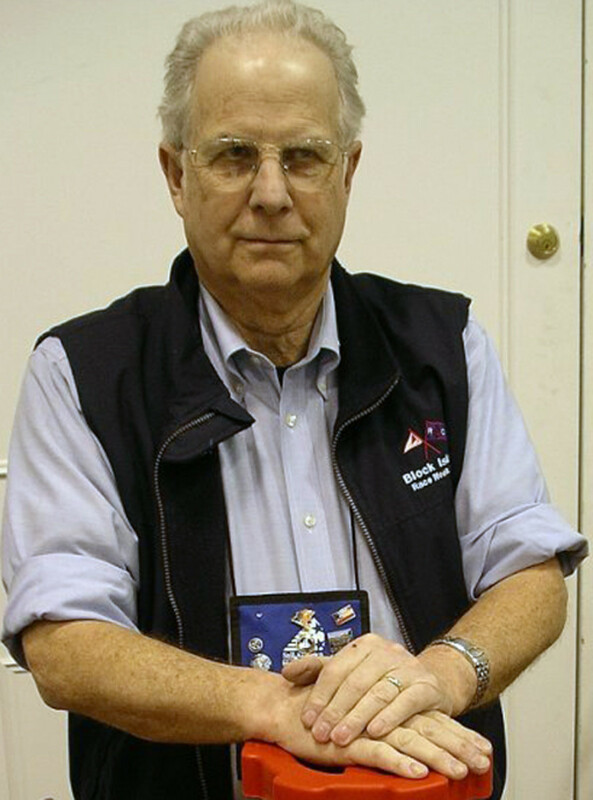 We give credit to Jeff Siegel for the time he spent writing his article, his navigational experience and his knowledge of technology for navigation. We agree that there are many good features concerning electronic navigation, and we personally have four GPSes aboard and use them when traveling, side by side with a hard copy chart, with position updated frequently. We also agree on the great importance of having up-to-date chart survey data and the need for back-up systems. On the other hand, we strongly disagree that yachtsmen should remove hard copy charts from their boats. 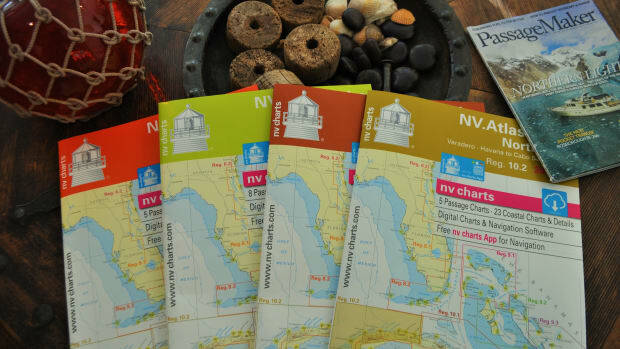 (We use the term “hard copy” since our own Explorer charts are printed on plastic, waterproof material, not paper.) Hard copy charts are the basis of initial surveys of many years ago, so the electronic charts are no better than the survey data backing them up. If hard copy charts are dangerous, then electronic charts are even more so because they are based on the “paper” surveys then digitized into electronic format, an opportunity for more errors to occur. GIGO, to you Geeks! If, however, the source data is from electronic surveys using integrated systems (even the highly dubious “crowd-sourcing”), they are subject to even more errors from recording the data at high speeds and not having a careful analysis of the state of the tides and currents (an art as well as a science). The average six-pack Joe is not a cartographer! Regarding up-to-dateness of the data, we can speak to our Bahamas surveys, which are annual. The new data is incorporated into the next edition of the particular Explorer Chartbook and crucial navigational changes are posted on our website. The data is also sent to our electronic partners to be included in their next release. It is our experience that our new survey data could be as much as a year later coming out in electronic format. Electronic charts are not necessarily more up to date! Using tablets/phones for navigation is another dangerous practice. In many U.S. states, texting while driving is illegal. That is no different from navigating a busy waterway with one’s head in an electronic device instead of looking around at what’s going on in one’s location. That’s when collisions and groundings occur. Relying solely on electronic navigation promotes this “head-in-the-screen” approach, while having a hard copy chart encourages one to be aware of conditions and surroundings. Piloting in rough weather magnifies the problems of possibly hitting the wrong buttons on the touch screen and losing one’s position at a crucial moment. Like our eight-year-old grandson, those who look only at electronic devices begin to think that the “image” is reality, certainly a false sense of the state of current conditions. The most dangerous thing onboard is an inexperienced, cocky person who does not have proficiency in taking visual bearings, understanding the difference between true and magnetic headings, a general understanding of variation and deviation, integration of RADAR range data (taken manually and plotted manually), comparison of the depth sounder to the charted depth, etc., not to mention boat-handling and seamanship skills and knowledge of the rules of the road. Jeff’s philosophy seems to agree with the 1964 position of Marshall McLuhan, “The media is the message.” Not so! The accuracy and up-to-dateness of the data is the message. Crowd-sourcing may rank up there with one of the great dangers, too. Crowds often speak with great authority but have faulty methods of collecting data. There is no quality control. Cost-saving: Jeff argues that throwing out the “paper” charts would save money. How about the great expense of all the redundant electronic systems? How many of us normal cruisers can afford all of that? Space-saving: Jeff must have lockers full of electronic devices with 16 mobile phones and numerous chartplotters and PCs. Perhaps more room than the paper charts use. Jeff may have learned the principles of navigation before he learned the e-nav way, integrating his “sense of navigation” with what he sees in the black box. Novices learn the black box fundamentals without understanding the principals of navigation (probably more than 50% of the boating e-navigators). So the elimination of paper charts is not in and of itself bad ... It is the elimination of learning manual navigation skills that is dangerous. Boat:Scooter, a Great Lakes 33, homeported in Ocean City, New Jersey. In the 1980&apos;s, the Land Surveying Profession faced the transition from paper maps to digital. Electronic data collecting devices replaced pencil and paper survey notes and CAD replaced pen and ink drawings. This represented a dramatic improvement in map accuracy as it created a streamlined solution from survey to computer screen. But the lack of knowledge of traditional methods brought a new set of problems. If today&apos;s land surveyor does not understand and embrace the past methods of measurement, he will certainly find himself in the presence of many property conflicts. It is even more of a problem with nautical charts as few new surveys of our waters are currently being done. The transition from NOAA&apos;s drawn charts to privately digitized chart plotters data is quite different. That 10 foot sounding that was drawn on the NOAA surveyor&apos;s field notes and later drawn by a NOAA draftsman in 1950 something appears today on the most current charts just as if it came off his pen in 1950. Hopefully that 20 year old geek from another country, who was hired to digitized the charts, did what he was hired to do and if he did, that 10 foot sounding will appear on your electronic media correctly as well. He does not have access to the original NOAA survey notes to help him locate that sounding accurately. Electronic charts will never be better than paper charts until new survey work is done. The MOST dangerous thing on a boat is the zoom button on your chart plotter. Chart plotters are great devices and are fairly accurate in domestic waters as long as they are not over zoomed to a scale unintended by the "original" draftsman and they are used in addition to common sense and visual instincts. However in NO case are they a perfect depiction of reality. This is even more true when you venture outside of US waters particularly in the Bahamas. In the case of the Bahamas, it is becoming very difficult to determine whose survey data appears on your screen. The importance of this was demonstrated last winter when a 50 some foot catamaran was lost on a reef while tracking down a "recommended " route on their Raymarine chart plotter which uses Navionics data. A proper look out and an Explorer chart would have prevented this disaster. We should never circumvent experience for electronics. Over the last 34 years, I have made about 34 trips from New Jersey to the Bahamas (both sail and power) and I have run aground once and I have yet to hit my first crab pot. There is no way I would be able to make that statement if I had my face buried in a chart plotter for those 50,000 miles. I received my first chart plotter five years ago as a gift from friends. This is the same chart plotter that I am using today, so both my plotter and charts are out of date. I trust my eyes and my depth finder and I use my other navigational devices with skepticism. Before throwing out your paper charts, pick up a copy of an ICW chart and place it under a microscope. Now ask yourself, is it a better depiction of reality than when you viewed it at its intended scale? THIS is the concept that is so hard for the Chart Plotter Generation to embrace. The media of the paper chart has no zoom button (over zooming is impossible) therefore you are forced to use other navigational skills to navigate. The prudent mariner should distrust everything except his eyes, his experience and his instincts. When traveling on the water anywhere, you owe it to yourself and your crew to use all of the media available. 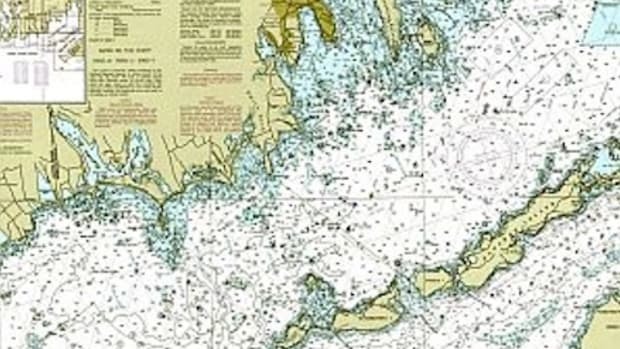 The issue should not be whether or not to throw away our paper charts but whether we should address the need to educate boaters to the fact that electronic charts are no more "accurate" than paper charts. The survey data on both is exactly the same. "Active Captain" has an obligation to make sure that all of its readers understand this before they chose to throw away their paper charts. They need to realize that until new, extensive survey work (not just reports of shoaling and buoy movement or replacement) is done; electronic data is equal to paper as far as navigation information is concerned. Chart plotters have unlimited potential but are nothing but stalled cars on the side of the road until this gets accomplished. Experience: Cruising instructor, Canadian Yachting Association; instructor-examiner, Personal Craft Operator’s Card; Power Squadron charter captain and delivery skipper. I have 40,000 nautical miles on my own boats, including Great Lakes, U.S. East Coast, Gulf of Mexico, Bahamas, Caribbean, Cuba and the South Pacific. 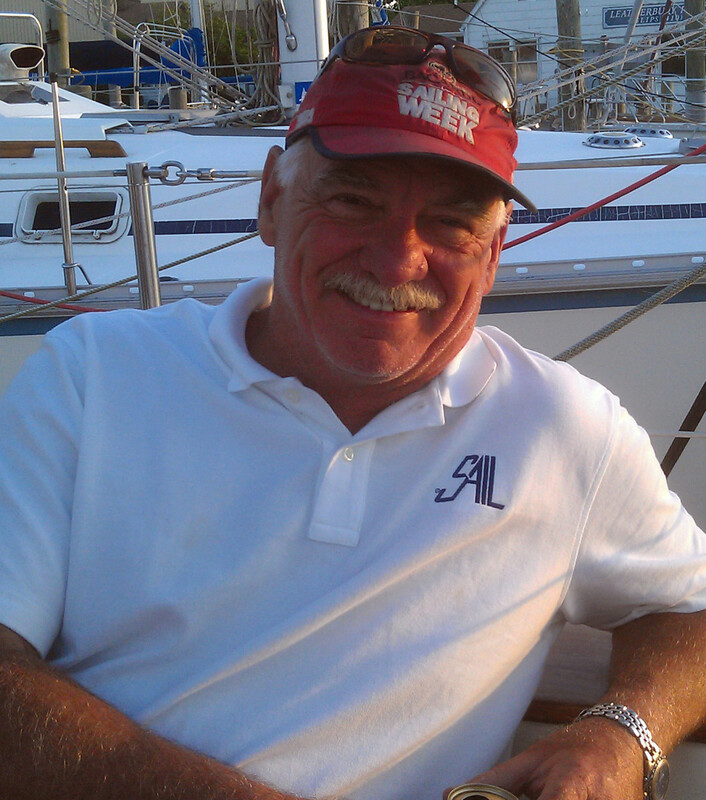 I am a contributing editor to, SAIL Magazine; cruising editor, for the Waterway Guides; video producer of Sailing South, First Timers’ Guide to the ICW and Forbidding, Forbidden Cuba Regular boat show speaker. Boat:Gypsy Wind, a Dufour 34, homeported at Penetanguishene, Ontario. Jeff Siegel’s position reminds me of a French skipper who installed a bidet. A bidet, for those unfamiliar, is a device that directs a stream of water onto the backside, eliminating the need for paper. Wikipedia gives a good explanation. Everyone admired his élan, and since most of his sailing involved coastal passages with regular marina stops, the bidet was a convenience rather than a vital piece of equipment. Eventually, Antoine and his lovely mademoiselle decided to go trans Atlantic. As luck would have it, they were past their point of no return when the bidet’s pump failed, creating some considerable angst since there was no way of repairing it. Various solutions were attempted: I’m told that cotton worked fine, silk was exquisite, but that modern polyesters and satin were hopeless. Finally, it came down to what they’d abandoned back on la rive gauche: paper. Le Parisien and France Monde were too ‘crinkly’, the daily Herald de Paris too rough. It was a difficult passage (so to speak). They eventually reached the islands. Pierette was last seen boarding a flight for Bordeaux, and Antoine was heard muttering deep in the bowels of the boat as he removed the offending equipment: pas encore (never again). You may never need your paper charts. However, they take little room, they’re nice to look at and dream over, they don’t break and, should you ever need them, you’ll be darn glad you have paper on board. I use my chartplotter at the helm and carry a backup, with the appropriate paper chart always at hand. I teach students how to navigate using paper - in fact, how can you possibly teach them properly on a chartplotter? They learn how to use electronics and the dangers of trusting it 100 percent. During an on-water session, I toss a towel over the chartplotter, announce an equipment failure, and they finish the day with compass, divider and paper charts. They are capable of using both electronics and paper and are better, more competent sailors for this. Sure, you can have redundancy (and the cost) of a half dozen plotters, smart phones and tablets. It’s not a bad thing...until the proverbial you know what hits the fan. Experience: Coast Guard Master 100-Ton license with commercial towing and sail endorsements. 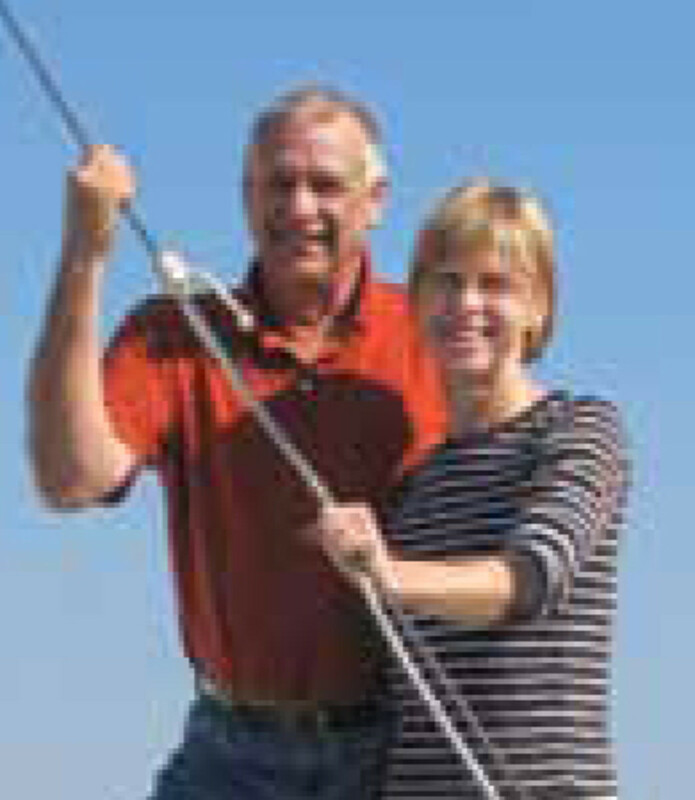 Author, with wife Diana Doyle, On the Water ChartGuides Series (ChartGuides, CruiseGuides, and AnchorGuides) Co-authored Get Onboard With E-Charting: The Complete Reference Guide to Electronic Charting and PC-Based Marine Navigation Co-produce annually (since 2005). On the Water ChartGuides: Complete Electronic Chart and Nautical Reference Library (2-DVD Set). My wife and I are full-time liveaboards actively cruising all year. Boat:Semi-Local, a PDQ 34 power cat, homeported in Minneapolis. Do you think we should quit carrying paper charts on our boats? Do you think Jeff Siegel is right? As a fellow gadget geek, I agree at a high-level with most of Jeff&apos;s points. We also have a plethora of laptops, smartphones, tablets, and peripherals aboard. Semi-Local has a full Raymarine network with dual MFDs, below and on the flybridge. And two multiplexers (ActiSense and ShipModul) assure connectivity to our mobile devices. Failing this, each of the seven laptops and mobile devices have USB, multiple Bluetooth, or internal GPS capability. So strategically, we have what most would consider an excess of independent and redundant electronic navigation equipment. However, I still have paper charts aboard and will continue to carry them. We do not annually update them, and rarely refer to them, but we still carry that paper "insurance policy." Today, paper also offers some benefits where our multitude of e-devices remain weak. As examples, in certain circumstances I still have daylight viewing, electronic bookmarking, and size- and field-of-view issues. And although our three-year-old paper charts may not be corrected to the latest LNMs (Local Notice to Mariners), I know that. I also know that our Raymarine Navionics chip may be last year&apos;s or that the Garmin Bluechart Mobile update hasn&apos;t yet been installed. But for me, this is similar to using my Davis plastic sextant and admitting I only had guestimated watch error and height of eye when doing celestial in the 80s. So, in the end, no ... Tactically I don&apos;t agree that paper charts are "dangerous." In fact, I could easily argue that navigating the ICW while "porthole driving" a small-view smartphone NOAA chart is. For us, horses for courses: chartplotter, check...laptop, check...mobile devices, check ...paper chart kit, check. 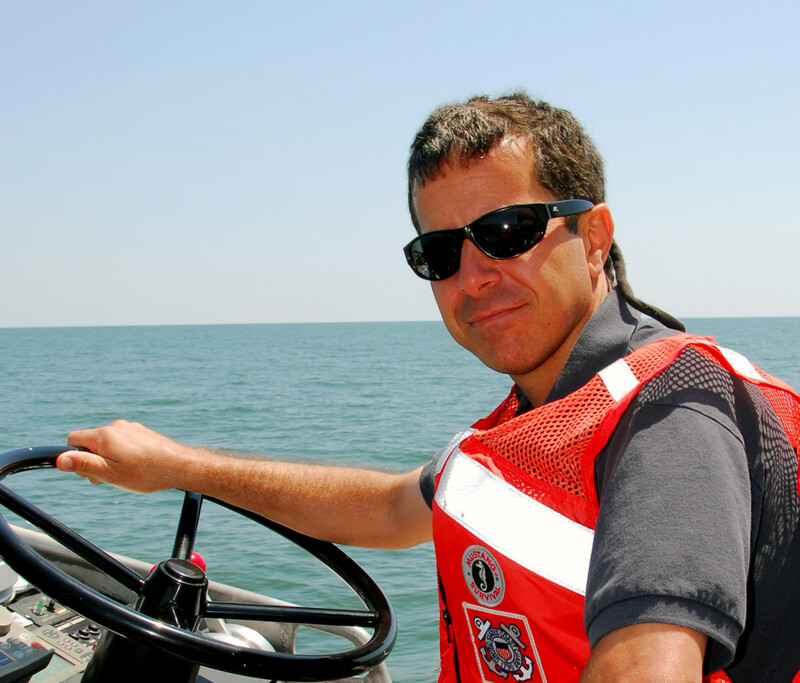 Experience: USCG Master. 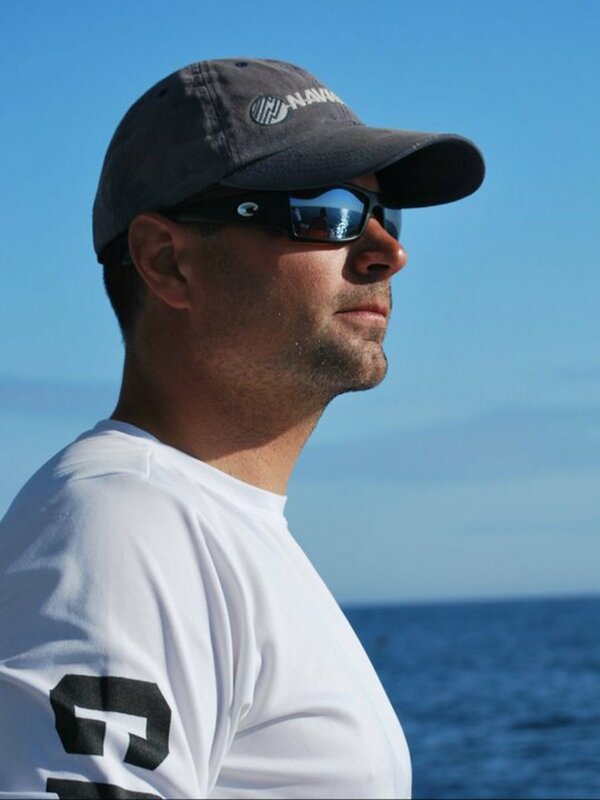 Navionics Global Product Manager (7-plus years with Navionics). Fishing Charter Captain on Cape Cod. In a professional capacity I have run Navionics survey efforts in the US& Canada, & Bahamas from skiffs to larger vessels. I am also a lifelong recreational boater and fisherman. I agree with the sentiment above from Mr. Parker, modern tools are far more reliable, more timely, and generally maintained and capable of a higher accuracy level. Failure is less of a concern now that inexpensive mobile apps as well as handheld GPS, etc., all compliment the GPS plotter or replace in the event of a failure. They offer the convenience of software that can allow for more, and better data presented to the navigator in a more understandable way than a paper chart ever could. I agree in principal that the paper chart is a dinosaur and has been adequately replaced. EVERY chart has errors, electronic, paper, etc. No matter how “official” the paper chart may be, the fact remains that it is not foolproof and does still contain errors so it is foolish to believe it offers some additional protection that an electronic version does not. Having said that, those laws requiring updated paper charts give a standard base for risk assessment and litigation as well as a common ground by which Navigators can expect some level of consistency. Is it needed? Well, that is arguable, but are there better solutions that have become reliable, absolutely. 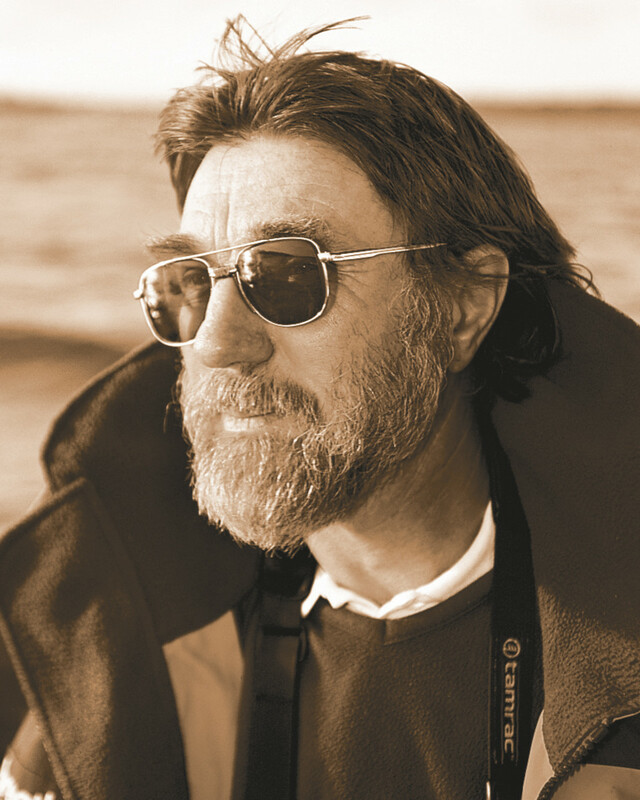 Experience: More than 30 years’ experience on the water, with 10 years on my own boat. 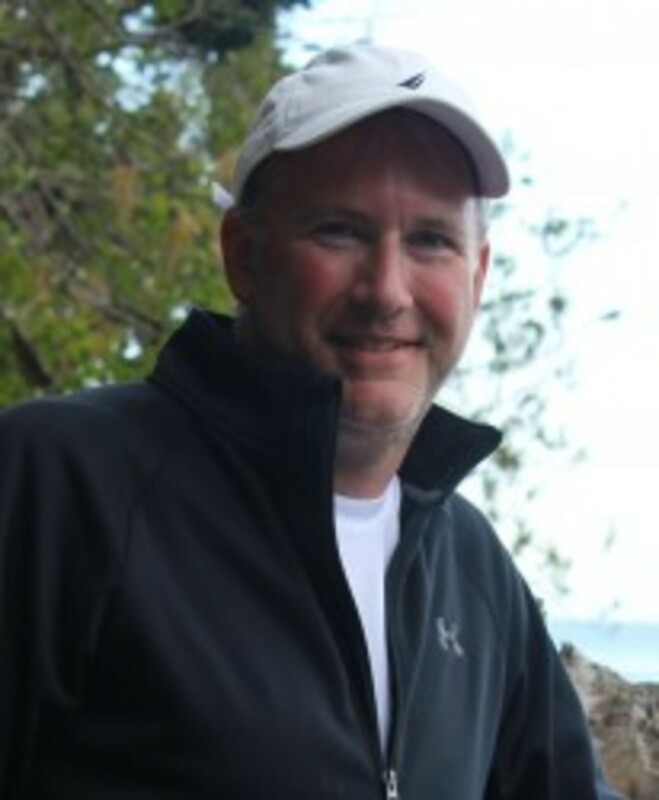 I am sales and marketing director for Rose Point, which produces Coastal Explorer PC charting software, and I contribute electronics articles to PassageMaker. Boat: SeaBlazer, 80-foot Desco trawler. There is no right answer to the question of whether you should have paper charts on board. People who have abandoned paper charts have done so because of their own experiences and apparently believe they will never be struck by lightning (but one in 300 vessels are). They also seem to be unaware of EMP (electromagnetic pulses), which can easily destroy an electronics device, connected or not. In the coastal areas, help is nearly always nearby. In the places I plan to travel, there is no Coast Guard to come to the rescue, so I have every reasonable system and backup conceivable, including paper charts. Many religious issues involve faith; I would never try to persuade somebody to switch to my religion, nor would I try to convince anyone to carry paper charts or not. It depends on where you’re going and what you’re doing.